Today, Governor Rauner signed HB2373, which creates better opportunities for people with criminal records by expanding the number of convictions that are eligible to be sealed under Illinois law. Heartland Alliance, along with wonderful partners and legislators, led the way in getting HB2373 signed and this legislation makes Illinois the nation’s leader in removing collateral consequences for people impacted by the criminal system. Today, Governor Rauner signed HB2373, which creates better opportunities for people with criminal records by expanding the number of convictions that are eligible to be sealed under Illinois law. This legislation makes Illinois the nation’s leader in removing collateral consequences for people impacted by the criminal system and focuses on reducing recidivism to ensure that Illinois families can achieve positive outcomes associated with stable housing, access to employment and educational options. In Illinois, about 45% of adults have some sort of criminal record. People with criminal records are routinely denied opportunities for quality jobs, safe housing, and education. 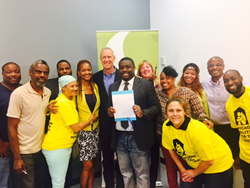 By expanding eligibility for sealing, HB 2373 will help Illinoisans with a criminal record reach their full potential. Sealing allows people to petition the court to remove records from public view and have an individualized decision made by a judge. Before today, Illinois law allowed for only nine convictions to be sealed. Under HB2373, most records can now be sealed and marks a big shift in allowing people to move beyond their past. For more information about the bill, please see the full press release or contact Amber Cason at Heartland Alliance.